MMA Kanvas is an independently owned, Australian sports website who have partnered with ninemsn to deliver mixed martial arts (MMA) content to the masses. Verdikt’s goal was to deliver a platform to manage all aspects of a news and entertainment website with custom integration with the Ninemsn network. The challenges included integration with Ninemsn’s video platform, integration with Ninemsn’s advertisement network, article management, gallery management, social integration. Another goal was to build the platform to handle from 1-10,000 simultaneous users. As these requirements were quite specific to the success of MMA Kanvas, Verdikt decided to build a fully customised system which allowed for the integration of Ninemsn’s framework. The scalability objective was handled by utilizing Amazon Web Services to deliver a platform which can adapt instantly to any important web traffic spike. A CDN (Content Delivery Network) was also introduced to deliver content to users all over the world. 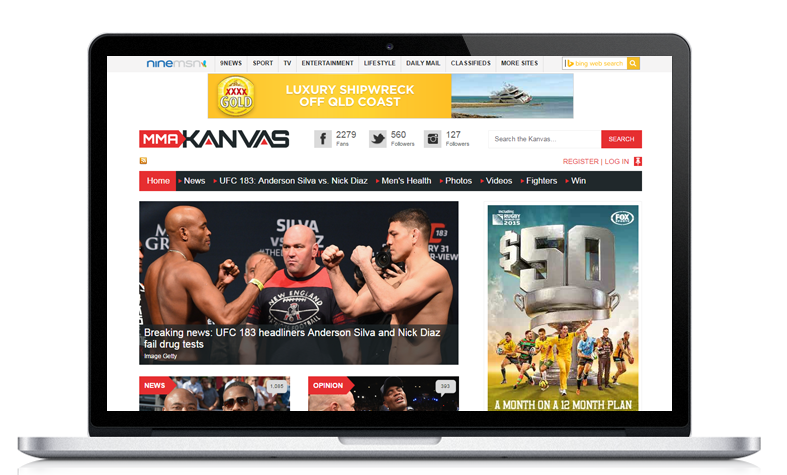 MMA Kanvas is now Australia’s leading MMA news provider. Traffic has steadily increased and spikes up to 800,000 monthly visits and 5000 simultaneous users.